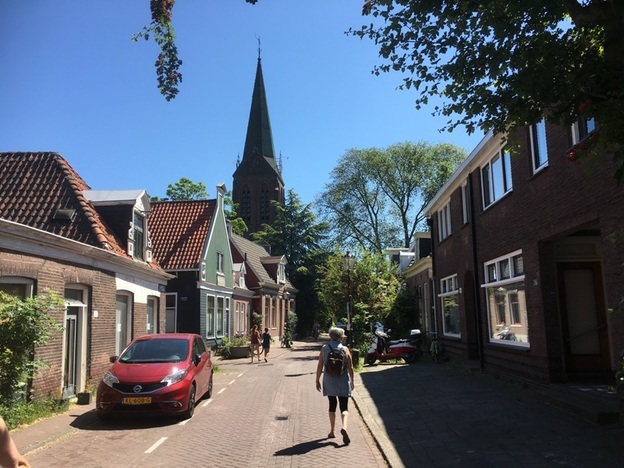 Amsterdam’s diverse neighbourhoods are just a clog’s throw from bustling Centrum; a delightful diversion from the city’s compact but touristic centre. Fresh open spaces, empty canals and plenty of local colour. 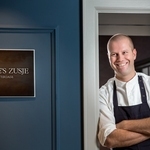 Andy Mossack discovers a completely different side of Amsterdam. You might think a derelict shipyard would be about as far from a tourist attraction as you can get. But these days, the NDSM (Nederlandse Dok en Scheepsbouw Maatschappij ) just a short free ferry boat ride from Central Station, has been reborn as an arty creative community. I mean where else might you find a giant crane converted into a boutique hotel. NDSM is just one of the 11 Amsterdam neighbourhoods which surround Centrum, the city’s compact medieval centre. Each one is a district with its own distinct identity and it’s where the Amsterdammers go to escape the tourists. 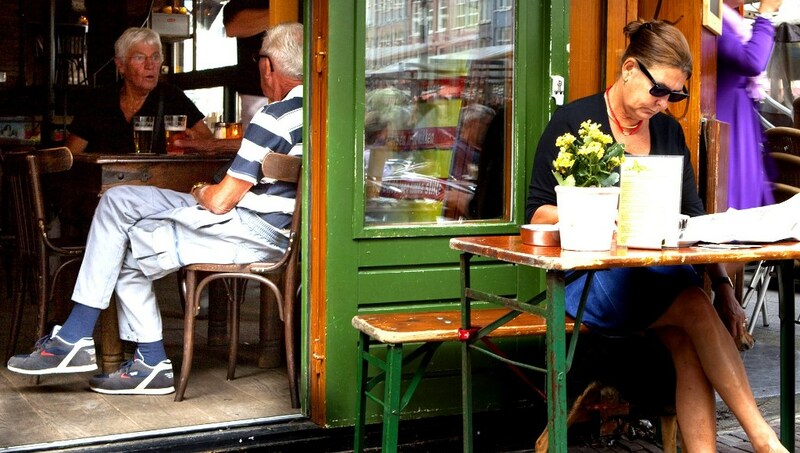 Here is my pick of Amsterdam’s diverse neighbourhoods. 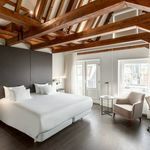 Sitting just across the River IJ (pronounced eye) from Central Station, Amsterdam’s northern neighbourhood has changed from up and coming to one of the city’s hippest spots. Grab the frequent free ferry from Central Station and right at the waterfront, the former Shell building is a 24 hour hot spot, full of clubs, cafes and eateries and a revolving restaurant near the top. Next to it, the futuristic EYE building has four film theatres and a wrap around waterside terrace. Walk or cycle a little way further into Noord and you’ll suddenly be in the countryside of Waterland. Dykes, locks and woodland and small villages to explore. 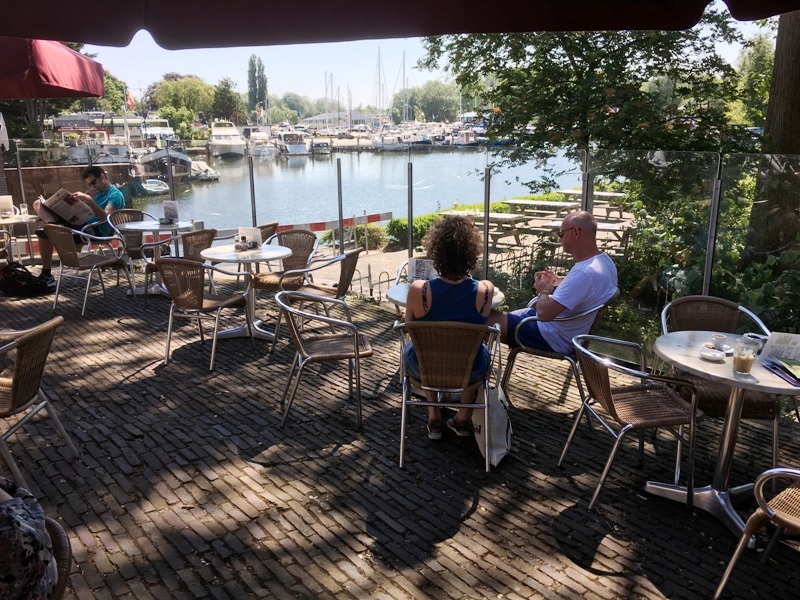 Nieuwendam for example, is a gorgeous little village where the 16th century Café ‘t Sluisje is a perfect pit stop for a coffee or lunch on its terrace overlooking the tiny harbour. Noord really is a delightful district. There is no doubting the bohemian feel in De Pijp, where even the streets are named after many of its famous artistic former residents such as abstract painter Piet Mondrian and Vincent van Gogh. This is Amsterdam’s Latin Quarter, a melting pot of immigrant communities originally drawn here to work in the nearby Heineken brewery. The daily Albert Cuypmarkt is full of exotic foods and spices and very popular with the locals. But this is also a hipster hub for excellent cafes and bars. The nearby Sarphatipark is a lovely urban public park with lakes and lawns, filled with local families particularly at weekends. Of course. you can always do the Heinekin tour too. Check out bitterballen in the local pubs. They are Amsterdammers favourite snacks; little deep fried breaded balls of creamy veal with a mustard dip. delicious. This is one of Amsterdam’s most elegant and wealthy neighbourhoods, developed over a century ago as the cultural gateway to the city. The leafy streets are home to three of Amsterdam’s largest museums; The Rijkmuseum, Stedelijk Museum of Modern Art and the Van Gogh Museum. Dubbed “The Reservation” by locals, it contains the most expensive properties in Amsterdam and some of the chicest boutiques in the city There is a very English looking landscape garden here- The Vondelpark – which is popular in summer for picnics and numerous outdoor performances. These two neighbourhoods are just outside the canal belt but within touching distance of each other, so I’m listing them together. De Plantage is perhaps best known for the Artis Royal Zoo, one of the oldest zoos in Europe with over 900 animal species. It’s also where you’ll find the Hortus Botanical Gardens, another senior citizen, founded in 1638 and housing 4,000 different types of plants. 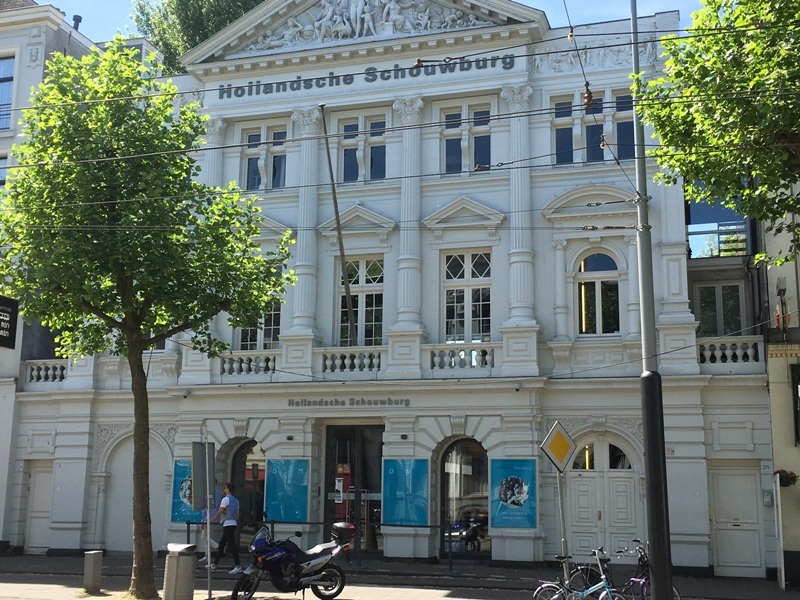 Very close to here is the National Holocaust Museum and almost opposite is the facade of a grand theatre which was once the Hollandshe Schouwburg. Sadly it became an internment centre for Amsterdam’s Jewish community during the war; a stopover before deportation to the camps. Today it is the National Holocaust Memorial. 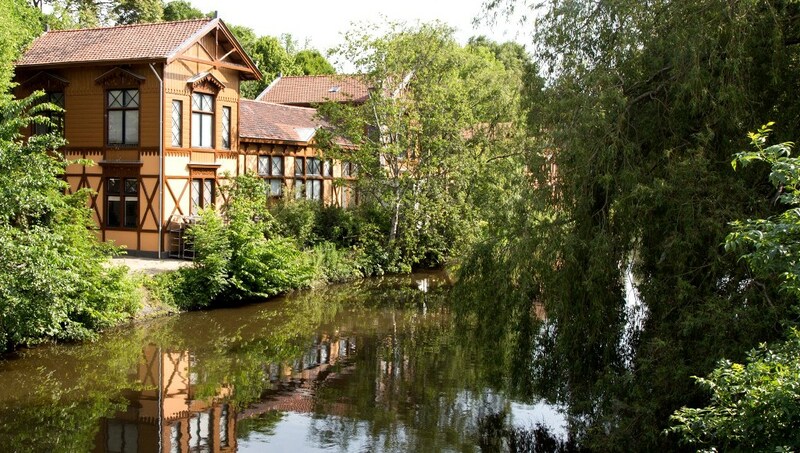 De Plantage has over 18 cultural centres from the Dutch National Opera and Ballet to the Hermitage Museum. 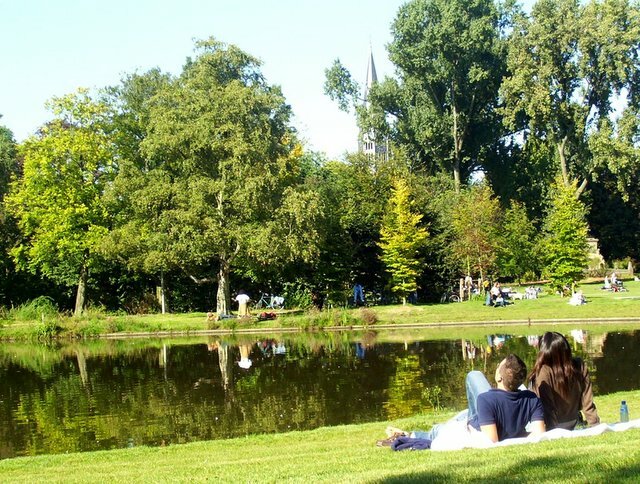 Oost’s parks are wide open green spaces and wide streets lined with 19th century architecture. 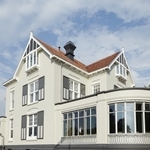 Oosterpark dates back to 1891 and was the very first major park built by the city. 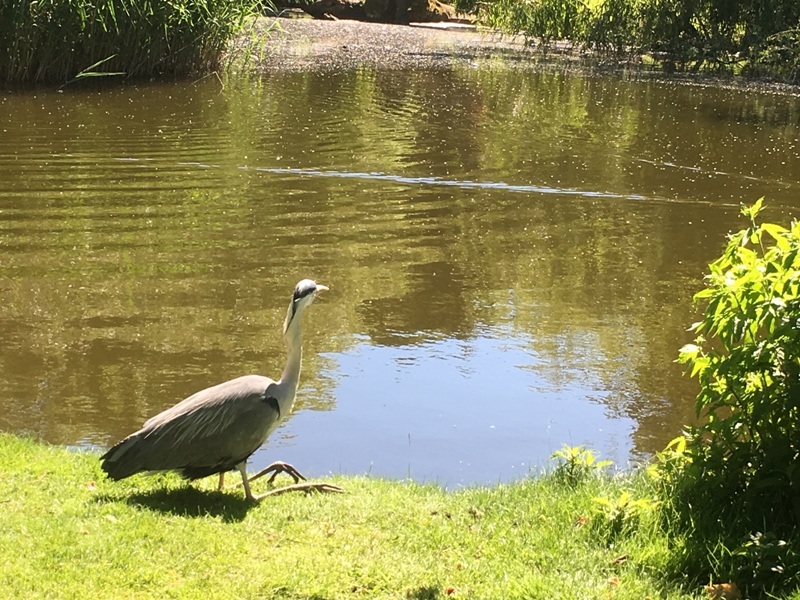 Talking of parks, a few blocks south and you come to Frankendael Park which is where the stunning De Kas greenhouse restaurant sits surrounded by its bountiful vegetable nursery. Whether you’re looking for culture, entertainment or an active break from Amsterdam’s touristic centre, these diverse neighbourhoods will let you experience a different side to the city. You might not agree with my pick of them, but you’ll have to try them to find out. All images (c) Andy Mossack except for cafe and Vondelpark images. Amsterdam’s 11 neighbourhoods are NDSM, Noordelije IJ-Oever, Oostelijke Eilanden, Oosterpark, De Plantage, De Pijp, Oud-Zuid, Zuidoost, Oud-West, Bos En Lommer & De Baarsjes, and Westerpark. All the neighbourhoods are accessible by tram or free public ferry and many are within walking distance of Centrum.